If Batman builds in black and sometimes very dark grey, Christian Lintan is the exact opposite – he only builds in white and no other shades. 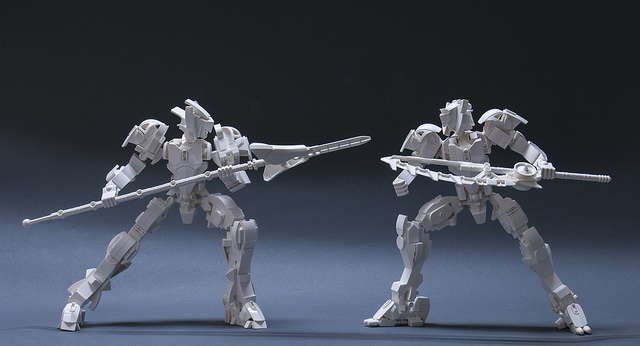 We recently featured his ghostly X-wing and TIE fighter, and now he’s back with an original design of two mechs sparring. Building in a single color is a limiting factor as it takes away an artist’s palette for distinguishing different parts of a build, but Christian uses great lighting and distinct shapes to bring out the best in his builds.